The Avila Centre of English was set up in 1983 by Derek and Hannah Rich and Jim Lawley. Derek brought his experience from teaching for many years in the English secondary school system, and Jim, an Oxford linguist, had most recently been working in the Ministry of Defence. And Hannah brought her excellent administrative skills. All were keen to relocate to Avila and, seeing a need for quality English teaching here, they decided to open a school offering classes for students of all ages. The school originally opened in rented premises in the centre of Avila, but it very soon became clear that more space was going to be needed. A site in the then newly developing residential San Roque area, five minutes from the centre, was chosen and in October 1985 the Centre started the new school year in custom built premises. Since then, the Centre has gone from strength to strength; some changes have been made as the Centre moves with the times: there is now a staff room with extensive self-access material for staff and students (course books, reference, videos, literature and magazines), and a second office which is shared by the Directors of Studies and the Director (now Noni Gilbert, who has been with the school since 1986). There is internet access for staff in the staffroom and the second office, and a laptop which can be used in the classrooms as needed, using the centre wi-fi connection. A visit to the Centre will have a very different “feel” to it depending on the time of day. At around 1 o’clock volume levels are high, as children between the ages of six and fourteen arrive for their twice weekly classes. The same phenomenon occurs again for the 4pm, 5pm, 6pm and 7.15 slots, with slight variations on the ages, and most of our adults come to classes from 8.15-9.15pm. The “quieter” time of the day is the morning, when you will find staff preparing classes, the administrative staff working their way through paperwork, and, as like as not, the Director preparing translations and the Heads of Studies looking at inspection copies of prospective course material or readjusting timetables to suit our students’ ever-changing needs. Most teachers have a total of 22 contact hours spread over the week (Monday to Thursday), although some choose to have fewer hours in order to be able to pursue other activities as well. Gluttons for punishment may be offered a couple more hours of classes per week. As we have said, the bulk of classes take place in the Centre, but teachers also go out to give in-company classes in local businesses or private classes for students who wish to have their teacher come to them. Over the years we have taught in a wide range of businesses and professions, thereby developing specialised knowledge in many fields. A list would include the hotel trade, vehicle repair research, insurance, safety research, food technology, banking, IT support, lawyers, architects, small commercial businesses, various medical specialities, and a long etcetera. We are also proud to be frequent contributors to teacher training in Avila and elsewhere. For some years now our staff have helped on refresher and ongoing training courses run by local Teacher Resource Centres for teachers at pre-school, primary and secondary level, and we have also contributed to and organised other training sessions with funds from the EU for those already in employment, as well as for the unemployed. We are in close contact with both the Teacher Training College in the city and the State language schools in Avila and in nearby Arévalo. This year it is Noni who has been teaching on courses for the CFIE in Avila (the Teacher Resource Centre), and although the funded course has now finished, the class is actually still considering on the request of the pupils! All this output calls for some input. We make an effort to find and offer recycling courses for all our staff on an annual basis, subsidising attendance and expenses. This year teachers have been invited to attend the annual TESOL conference and other courses in Madrid. Staff have followed a number of related longer term educational courses over the years at the same time as working, and every effort is made to make working hours compatible with this kind of activity. There is no doubt that individual staff benefit from such input, and the fact is that the entire school shares this benefit, as the experience and knowledge gained is shared out over a cup of tea at the staff room table. We also have close links with similar schools throughout the country, both informally and formally, which help us to keep up to date with events in the EFL world. 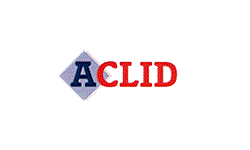 We are active members of the regional association of private language schools, ACLID, (Asociación Castellano-Leonesa de Idiomas), and Noni Gilbert, after many years as President, continues to be on the committee of the Association. She is also on the committee of the national federation of private language schools, FECEI (Federación de Ense–anza de Idiomas), ), and the school is a member of a wider national association, ACADE (Asociación de Centros Autónomos de Ense–anza Privada). Through these organisations our staff have been able to benefit from free courses offered with funding from the European Union. Dialogue between staff members has always been most beneficial. Some teachers have been with us for a significant length of time, and they are always happy to share their experience with more recent arrivals, and at the same time keen to pick up new ideas from this “fresh blood”. We are anxious to avoid stagnation! The role of the Heads of Studies is central to the effective running of the school. It covers an alarming range of matters, from timetable design, through student placement to ongoing in-house teacher training and additional impromptu coaching for students. In fact, after various attempts to limit the role, we decided (or rather, recognised) that just one person could not possibly cope with the workload, and so now we have divided the job, with one Head of Studies having responsibility for adult students (Annie) and another having responsibility for children and adolescents (Ross). Students sign on for classes at the Avila Centre of English for a number of different reasons, although they will all claim their motive to be “the wish to learn English”. For many parents with school age children, it has become the norm to send their children to extra language classes. We see our role as complementary to the English that they learn at school, offering smaller groups which can concentrate particularly on listening and speaking skills, which are so hard to acquire in the school context. At times we are also asked to help students directly with their school work, and we now offer specific classes to back up school curriculum, as well as the occasional help that students may find they need. Our older students, but still of school age, may also choose to prepare to take internationally recognised exams, such as those offered by the University of Cambridge. 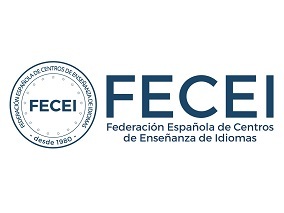 For many years we organised several levels (KET and PET) of these examinations in Avila, and members of our staff also work as oral examiners in other cities for the five main exams (KET/PET/FCE/CAE/CPE). For younger learners, the Cambridge YLE examinations (for students aged 7-12) are becoming increasingly popular, and we present an increasing number of students for these exams each year (in sufficient numbers to justify requesting, in coordination with another language school in the city) a specific examination session in June. Again, a significant proportion of our teachers are trained examiners for this level. Our adult students may also prepare these exams to improve their professional prospects: English is undoubtedly a very strong card to have in furthering careers in 21st century Spain. Other students want to improve their English as a means of communication when they travel abroad, others in order to be able to read texts in the original language, be they technical or literary, and still others simply come to class because they enjoy learning English! In fact, we hope that all of our students find that learning English with us is an enjoyable experience, whatever the motive for signing on. Times have changed quite dramatically in recent years in the EFL world. English is big business, and franchised schools and international chains have abounded. We have observed these developments with interest, learning many lessons from them, but without finding ourselves tempted to emulate them completely. CALL (computer aided language learning) is now a reality which most certainly has its place in language learning, but we not feel that it should necessarily have the central or even exclusive role that it is assigned in some teaching establishments. We believe strongly in the effectiveness of a “real live” teacher in the classroom, who is capable of responding to the individual needs of each student and to those of groups as a whole in a way that no number of diagnostic tests on a computer will do. Fashions in language teaching come and go, and are reflected in the type of teaching that many of our students receive at school too. We try to incorporate new developments, and take full advantage of new teaching materials as they become available. Over the last few years there have been significant developments in materials available for very young learners, an area hitherto somewhat neglected by the publishing houses, although we still find that this is the area where we have to resort to designing more material ourselves to meet our needs. Our staff room is packed with course books and resource books which are dipped into to supplement the curriculum that we have set for each group; there is also original material that is constantly being designed and shared between the teachers. Our teachers have joined us from a variety of walks of life. There is no doubt that the training offered by many establishments is a good starting point for a EFL teaching career, be it specific to EFL or for teaching in general, but we also think that experience of many different kinds can contribute to the making of a successful and effective EFL teacher. Many of our current staff have indeed come to us from a teaching background, but we also have experience in the care sector, in administration, and in VSO. Degrees held by our teachers range from the predictable modern languages, through anthropology to performance arts. Times have changed quite dramatically in recent years in the EFL world. English is big business, and franchised schools and international chains have abounded. We have observed these developments with interest, learning many lessons from them, but without finding ourselves tempted to emulate them completely. CALL (computer aided language learning) is now a reality which most certainly has its place in language learning, but we do not feel that it should necessarily have the central or even exclusive role that it is assigned in some teaching establishments. We believe strongly in the effectiveness of a “real live” teacher in the classroom, who is capable of responding to the individual needs of each student and to those of groups as a whole in a way that no number of diagnostic tests on a computer will do. Fashions in language teaching come and go, and are reflected in the type of teaching that many of our students receive at school too. We try to incorporate new developments, and take full advantage of new teaching materials as they become available. Over the last few years there have been significant developments in materials available for very young learners, an area hitherto somewhat neglected by the publishing houses, although we still find that this is the area where we have to resort to designing more material ourselves to meet our needs. Our staff room is packed with course books and resource books which are dipped into to supplement the curriculum that we have set for each group; there is also original material that is constantly being designed and shared between the teachers. Our teachers have joined us from a variety of walks of life. There is no doubt that the training offered by many establishments is a good starting point for a EFL teaching career, be it specific to EFL or for teaching in general, but we also think that experience of many different kinds can contribute to the making of a successful and effective EFL teacher. Many of our current staff have indeed come to us from a teaching background, but we also have experience in charity work, in administration and recruitment, and in VSO. Degrees held by our teachers range from the predictable modern languages, through anthropology to performance arts. As we mentioned above, we are not all EFL obsessed either. The acquisition of foreign languages is not surprisingly an interest shared by all, be that foreign language Spanish or indeed any of the other languages available for study in Avila (not a great range, it has to be admitted, but we do like to feel we are reasonably multilingual!). The fact that Avila is a small city which doesn’t take that long to cross from one end to the other means that it is possible to combine a number of other activities with a teaching timetable. Several of the staff are keen sports players, and we boast fine footballers, swimmers and dancers. Walking, either in the wonderful countryside and mountains nearby, or further afield, is another great joy for various members of the staff, although this is more of a weekend activity. Over the years we’ve had musicians and horsewomen, contributors to local “good works” and potters. Avila is not the cultural centre of the universe, let there be no mistake, nor is it really ever going to be “where it’s at”. We leave that to other cities (several of which are within striking distance for the weekend), and instead enjoy the benefits of a quieter city, not entirely bereft of cultural activity (how many cities of 50,000 inhabitants have 6 cinema screens, after all), which allows us to fit far more into the day than would be possible in a larger city with greater travelling times. It’s an area of Spain which has not yet been remodelled for the tourist trade, which boasts high quality regional cuisine, and which has not lost touch with its traditions and customs. We’ve tried here to give an overview of both the school and, albeit very briefly, the city we live in. Please contact us directly if you would like more information on anything in particular info@avilacentreofenglish.com.